Your own private Tea House...in Little Italy!!! 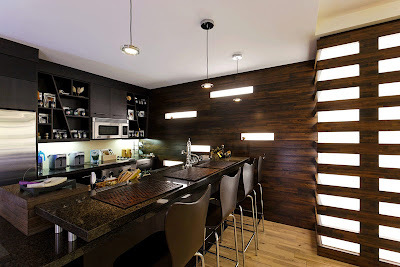 Hey San Diego, I am so excited to share with you a hidden gem I discovered yesterday in Little Italy. 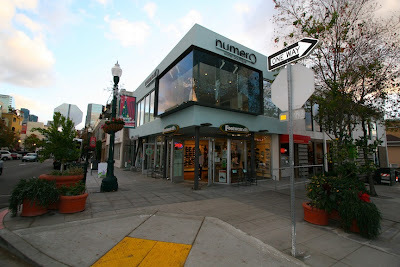 It's the Numero Water Boutique at 1660 India Street. This Japanese water company offers premium natural bottled waters from the beautiful foothills of Mt. Fuji Japan, a region located on the Izu Peninsula and recognized as one of the greatest natural resources in the world. 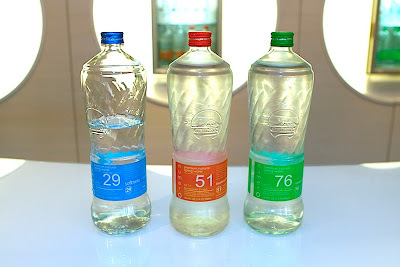 Numero Water has three varieties of water, each from a different source that creates an exclusive mineral composition. Numero has numbered the waters to showcase the featured mineral attributes each posses. 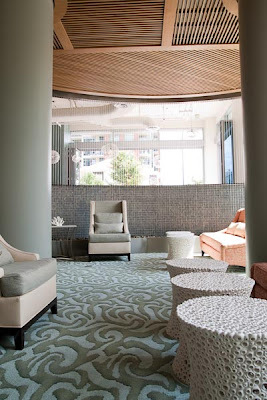 You will be captivated by the serene and stylish surroundings as you enjoy some long needed pampering. 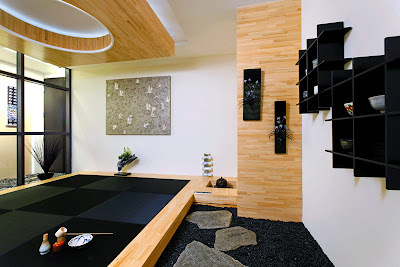 Along with their beautiful water displays and Zen atmosphere, you can indulge in an entire menu of Spa Services. Why not treat yourself to a heavenly foot soak, as you watch the bustling Little Italy scenery down below. And as if that wasn't enough...walk deeper into the boutique and enter the Japanese Tea Lounge, complete with full kitchen, a peaceful and plush seating area, and my fave....a private tea room. Here you can sample an interesting selection of Japanese Teas, all brewed with the deliciously clean Numero Waters. And great news!!!! Numero Water Boutique is now available for your next special event. 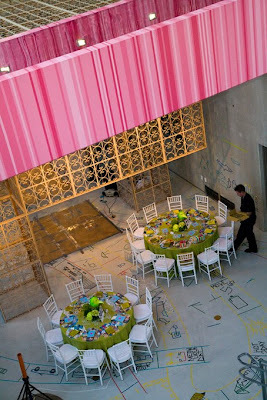 The entire space (or just the tea lounge) can be rented, and transformed to host any event you can dream up. How about a bridal shower, with massages and your own version of High Tea? Or maybe your company party, complete with Tapas and a DJ? 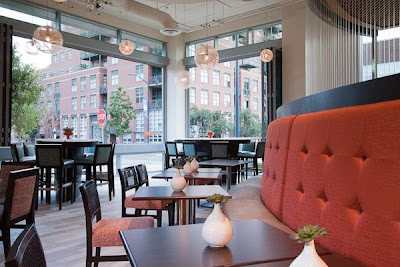 Or perhaps you're looking for the perfect place to throw a surprise birthday party? 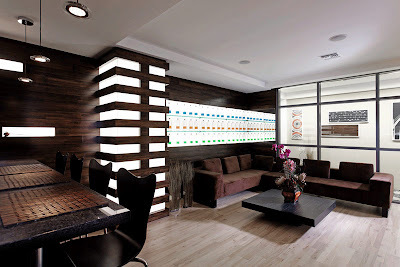 Whatever your vision, Numero Water Boutique will make it happen! 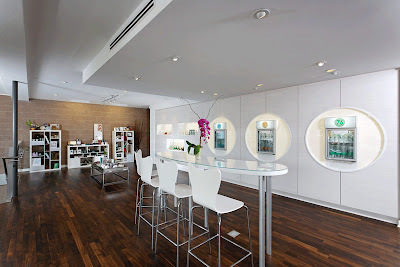 We are in love with this company for their delicious water, beautiful boutique and soothing tea lounge, and to top it all off...their commitment to the environment. 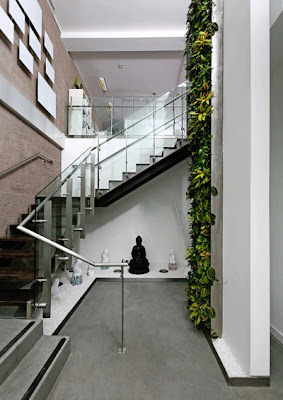 Numero Water strives to act as a conscientious community member, as well as have an active role in preserving the environment and reducing their carbon footprint. So next time you're looking for a place to relax and escape your hectic life, visit the Numero Water Boutique to find a little piece of Japanese Heaven! A nickel for a bag? Starting in January 01, 2010, a District law went into effect that states businesses who sell alcohol or food have to charge 5 cents for every disposable paper or plastic carryout bag that a customer uses. The business keeps 1 cent, and the remaining funds go to the Anacostia River Protection Fund, which will be used solely for the purpose of cleaning and protecting the Anacostia River. 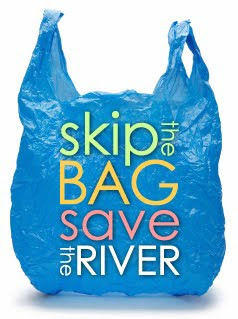 Hopefully this extra charge will encourage folks to bring their reusable bags and save the environment in the process! The District is also offering a program this coming Spring, as a special offer through the RiverSmart Homes Program, where district homeowners can have shade trees planted on their property for only $50! And the only restriction is space limitation! A Casey Tree Representative comes out, determines the best species and location of the shade trees, and then schedules the planting. Not only is this initiative aesthetically beautiful, but shade trees provide many benefits to the natural environment; such as reducing storm and water runoff that affects the health of local streams, improving air quality so we can all breathe in a little bit easier, and creates a habitat for local, furry animals. I love it! 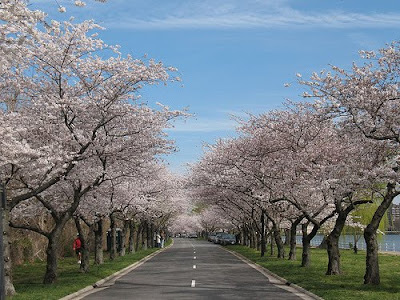 The District also plants an astonishing 4,000 trees each planting season, along public walkways and local parks and streets. Not a bad scenery for those early morning walks. When Mayor Fenty established his Green Team in 2007, first on his list was the Green Roof Initiative. 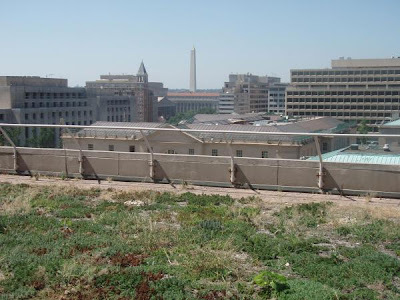 By the end of 2007, the city had created 12 green gardens on the city buildings, like Judiciary Square, top photo. Fast forward to 2010, and the city currently has an inventory of 75 roofs, each with over 1,000 sqft of green space! How's that for growth? Not only does the city rank #1 nationwide in terms of walkability, but it also ranks #2 in the nation in heavy rail ridership with over 1Million daily riders on it's metro system! But it seems like they are trying to take over the bike industry as well. The District Dept. 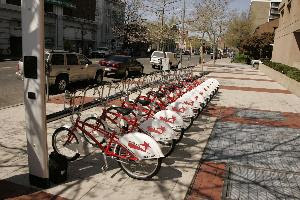 of Transporation has partnered up with Clear Channel Outdoor to bring the first self-service bike rental program to the city (called SmartBike DC). With bike stations located in key locations around the city, users get to 'rent' a bike in one location, and drop it off at another destination. The bikes are ergonomic and light-weight in design, and the docking stations utelize all the latest technology, but are still quite user friendly. With options like these, everyone in DC should be sporting short shorts to show off those gams! I hope that other cities around the country are inspired by the initiatives and changes that are happening here in the nation's capital. It makes me proud to be living here again and contribute to the green industry. With a little community support and acceptance, big changes can be made! Have a great day everyone. xoxo, Laura. 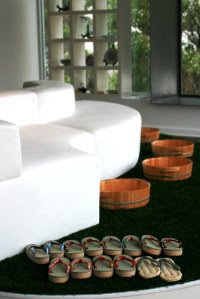 Make your guests Dream Green with Envy! Happy Friday everyone! Before the weekend, I had to share with you one of my new favorites, the one-stop shop for anything and everything you need to make your Wedding as Eco-unique as you....Dream Green Weddings Eco-Unique Wedding Boutique. Founded by green bride Heather Teague from Florida, this website is all about bringing your Dream Green Wedding to life. Not only do they offer tons of useful tips on how to plan your own Green wedding, they have hundreds of Eco-friendly specialities in their Wedding Boutique. Whether you need favors, wedding party gifts, invitations or decor...you can find all of it here. And best of all, they are made by only the best environmentally and socially responsible companies. So...here are a few of my faves. 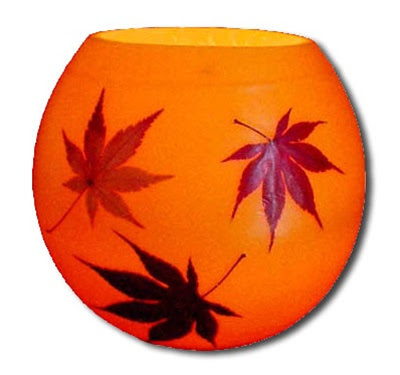 Check out these beautiful honeypot luminaries! If I was a bridesmaid, I'd be stoked to get this as a gift! 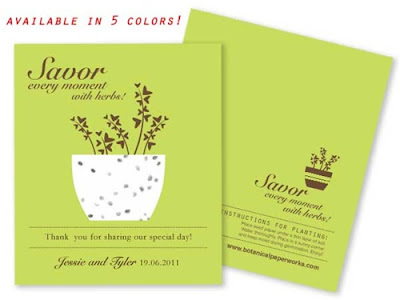 They also have a huge selection of earth-friendly invitations for any occasion. 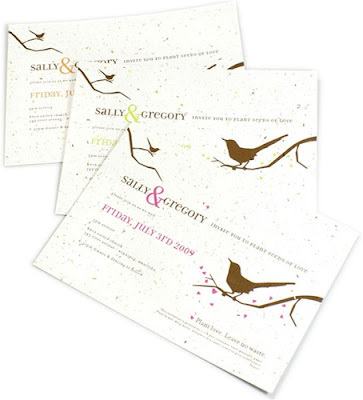 I absolutely love these plantable seeded invitations with the adorable sparrow. 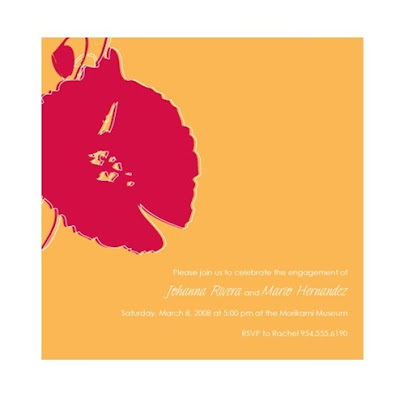 And who says you can't have the best of both worlds...check out this bold colored engagement invitation. Gorgeous and Green!!! 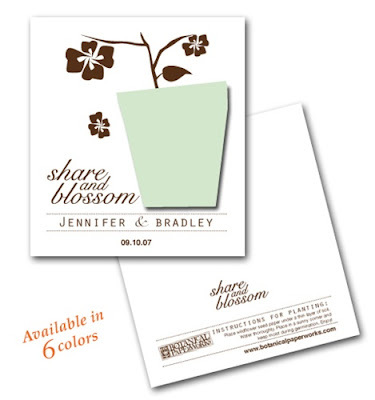 Now you can really let your guests know how important they are with these Eco-friendly favors. These are the gifts that keep on giving!!!! 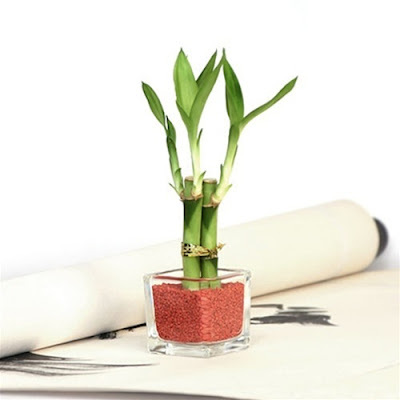 Like this live planted bamboo vase....every time they look at it, they'll think of you! 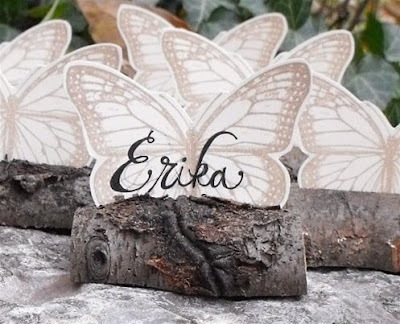 And I love this idea for place card holders. After they find their name, they can take home this branch display and re-use it as a picture frame. 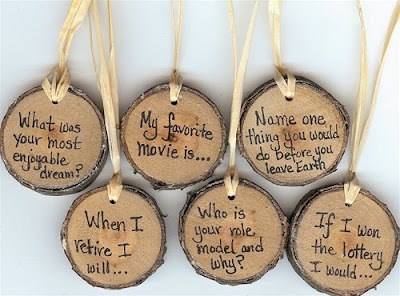 And how genius are these recycled-wood conversation starters? 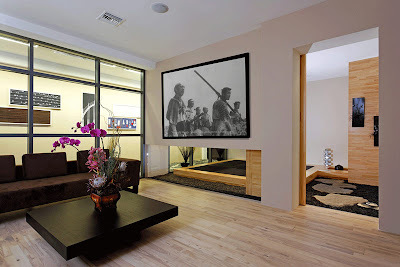 You could even write your favorite quotes or song lyrics, and send your guests home with some daily inspiration. Another of my faves...Seed Packets (and these are the cutest i've seen). They're sweet, small and you can customize the packet to match your wedding theme. 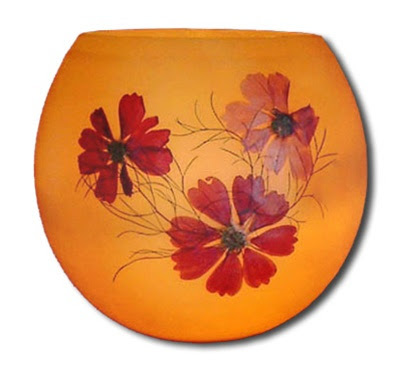 Imagine all your guests running home to plant wildflowers in their garden. The world will be a much greener and beautiful place to live! And now they even offer herb seed packets, so your guests can grow their own organic herb garden. LOVE LOVE LOVE!!!!!! Dream Green Weddings is making green wedding planning easier then ever before! 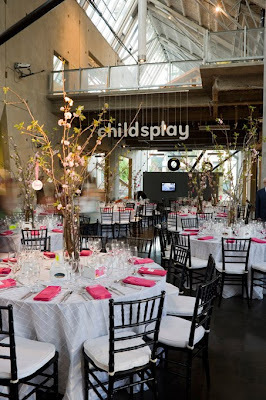 As a green event planning company, we are proud to align ourselves with this smart and stylish company. And for some more fun, check out their blog! If you want to make your guests Dream Green with Envy...you need to visit Dream Green Weddings! 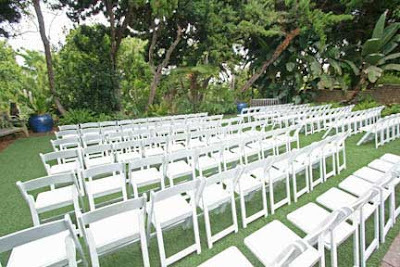 These San Diego venues will make your guests Green with Envy!!! Happy New Year everyone! I hope you all had a wonderful holiday season. If you're like most people I know, you're ready to get this year started the right way! 2009 is officially over (thank god), and it's time to dive into 2010! 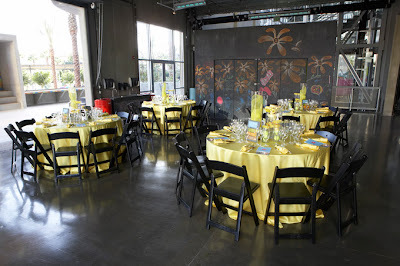 So, why not start thinking about your next special event? Maybe you're recently engaged, or have a big anniversary coming up...or perhaps you just want to throw an amazing party for your friends. San Diego has hundreds of stunning locations to have a party, but I wanted to focus on 3 "Green" venues that are not only beautiful, but completely unique. First up is The New Children's Museum, located in downtown San Diego. The building is a dramatic, three-level, 50,000-square-foot structure designed by visionary and award-winning architect Rob Wellington Quigley. The museum utilizes innovative, environmentally sustainable architecture and infra-structural practices, including recycled building materials, a passive air handling system, photovoltaic panels, water-saving devices, natural daylighting and convection cooling. 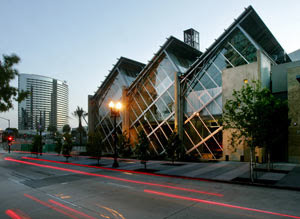 The New Children’s Museum is one of the first green museums in California. 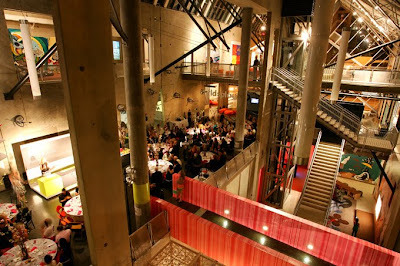 As you can see, the museum offers a variety of interesting spaces for any kind of event. To learn more, visit their website. 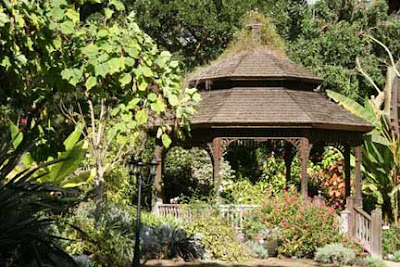 Next up is one of my favorite places to visit in San Diego...The San Diego Botanic Garden (previously Quail Botanical Garden). I don't have to tell you why this venue is green, I think the name speaks for itself. 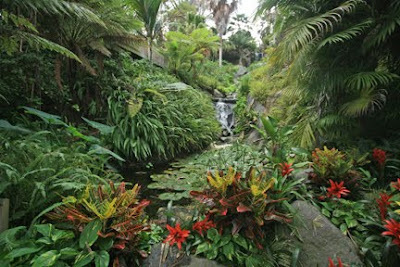 Located 30 minutes north of San Diego in Encinitas, California, San Diego Botanic Garden features numerous exhibits, including rare bamboo groves, desert gardens, a tropical rainforest, California native plants, Mediterranean climate landscapes, succulent gardens, an herb garden, firesafe landscaping, a subtropical fruit garden, and native coastal sage natural areas. 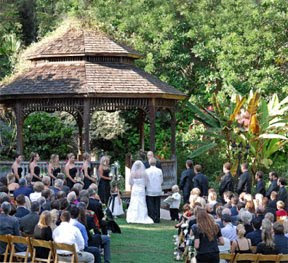 Choose between the walled garden, gazebo or waterfall deck for a picturesque and memorable event. 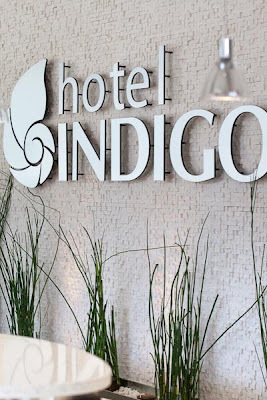 And finally, make your guests Indigo with Envy at the Hotel Indigo...San Diego's very first LEED- certified hotel property. 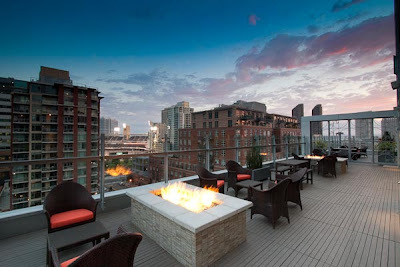 One of only 19 U.S. hotels to carry the certification, the 12-story hotel in San Diego's most popular neighborhood for nightlife boasts Eco-friendly features that include on-site recycling and composting initiatives, "green roofs" with outdoor decks made of recycled plastics and wood particles, an on-site herb garden used by the hotel's restaurant and discounted parking for guests driving hybrid and other fuel-efficient vehicles. And on top of all that, it's absolutely gorgeous! Imagine getting married on the rooftop deck, or entertaining your guests in one of their many modern, yet elegant spaces. Or you can always just stop in for some drinks.....Friday, anyone? Stay tuned as I continue my never-ending search for Eco-friendly venues and locations. And feel free to contact me if you know of any! Till next time, Go Green or Go Home!